Unlike car accidents, when you’re injured in a motorcycle accident you could have to pay for your medical bills out of your motorcycle accident settlement. But why should you have to pay for your medical bills just because you were injured in a motorcycle accident? Don’t let the bulk of your motorcycle injury settlement be used to pay your medical bills. We wouldn’t! This is a big reason why you want us to be your motorcycle accident lawyers! Because we don’t charge a legal fee to keep your settlement money from being used to pay medical bills and liens. Some lawyers settle medical liens for 66.66% and pay 100% of Medicare liens. We try harder! 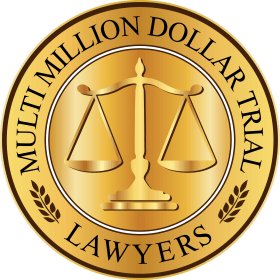 Although past results cannot predict future results and facts differ in each case which could produce different results for you, we have settled many medical liens for little to no money, that’s $0.00! Below is a copy of a letter showing a medical lien settlement for only $1,600 (5% of the $32,000 hospital lien asserted by GHI). I was also able to get another $1,000 of medical coverage for my client to pay the medical lien settlement. The result is that I only had to deduct $600 from my client’s motorcycle injury settlement! The letter below shows a Suffolk County Medicaid lien of $113,311.07 was settled for only $2,000 which wasn’t even paid by our client because it came from a $2,000 medical coverage on the insurance policy. On the same case, there was an additional lien by New York State for Stony Brook Hospital for over $900,000. After consideration negotiation, the New York State lien was reduced to $0. Motorcycle accidents often involve serious injuries with medical bills usually in the range of $35,000 to $1,000,000+. Your medical bills will be paid either by your health insurance company, Medicare, Medicaid, or New York State. Whichever entity pays your medical bills, they will want to be reimbursed from your motorcycle accident settlement. If you have health insurance, the medical billing codes are run through software looking for billing codes that indicate treatment for injuries caused by trauma such as an injury from a motorcycle accident. 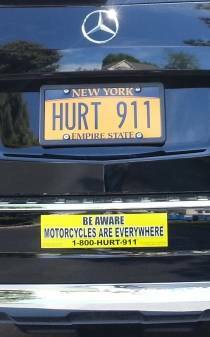 When these billing codes for treatment of trauma are found, an investigation begins to find your lawyer and the insurance company for the car which hit your motorcycle so a lien letter can be sent to both your lawyer and the insurance company. The company which most often is the collection agency for health insurance companies is Rawlings. This is the most complicated and unique part of a motorcycle accident case. Lien law is complicated and frequently changing. 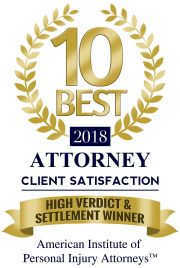 Additionally, because there is no-fault coverage for injuries sustained in car accidents and no-fault is not entitled to a lien, these issues are not encountered by lawyers in car accidents. However, issues involving medical liens occur with every motorcycle accident and many lawyers are not familiar with these issues. Some private health insurance plans are no longer allowed to assert a lien against your personal injury settlement from a Long Island motorcycle accident, but self funded ERISA health insurance plans can assert a lien and seek to be reimbursed from your settlement. Different than medical liens, a hospital may not be able to put a lien on your case but can sue you for the hospital bills. Find out what we can do to reduce your hospital bill. If you were injured in a car accident, you would not have to pay for your medical bills. Why should you, just because you were riding a motorcycle? 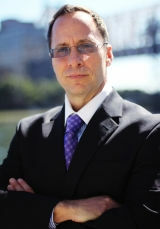 I will fight to keep your motorcycle injury settlement from being used to pay your medical lien.